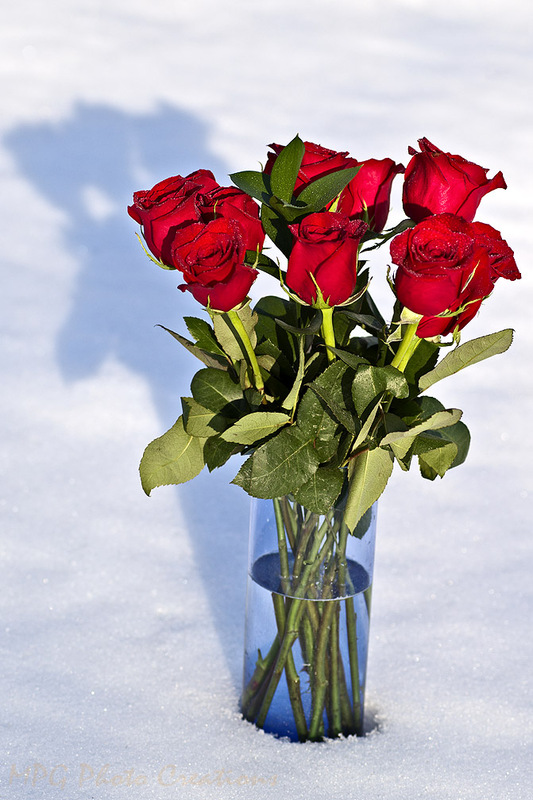 I received beautiful roses for Valentine's Day. I took them outside and photographed them against the snow. I liked this image because of the shadow they were casting.